When a sober addict falls back into the throes of their addiction, it’s a way of dealing with stress, often because the addict doesn’t know how else to cope. That’s why it’s important for every recovering addict to learn how to manage stress without risking relapse and the best time to learn is now. 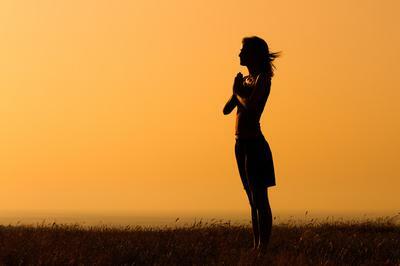 Implementing meditative relaxation techniques can be quite successful in helping the recovering addict exert more control over their mind. Meditation and yoga can be particularly helpful in giving the patient the tools to recognize and correct the thought patterns that feed addiction. 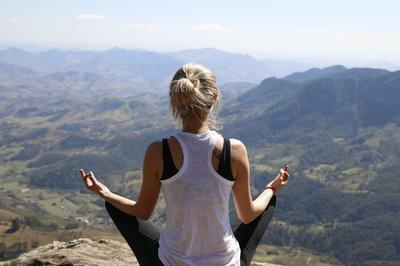 Meditation can also reconnect the mind with the body and help the addict reclaim a physical and emotional peace they might not have felt since before they became addicted. To make sure that yoga is structured in the most beneficial way possible for your recovery, take a look at the tips in this article. Physical relaxation techniques like massage and aromatherapy are also great methods of physical relaxation. Relaxing the body through massage will relieve the addict of physical symptoms—headaches, muscle pains, etc.—that can lead to relapse. Drinking therapeutic tea may also soothe the body, reduce stress, and introduce the addict to a new, healthy habit. Though you’ll need to be careful not to put more physical strain on your body than it can handle, immersing yourself in a new exercise regimen can relieve a lot of stress and give you a new place to focus your energy. Whether you decide to spend time at the gym, take up long-distance running, or explore something more adventurous like rock climbing or river rafting, finding a physically demanding activity and sticking to it will provide discipline and strength to fall back on when things get stressful. Managing stress can be close to impossible if you don’t manage your time as well. The early stages of recovery in particular require a routine to be successful. A streamlined schedule will help you to have enough responsibility to keep you busy without overloading you and causing further stress. Even if you only have a few simple tasks to start out with, it’s a start. Get used to the idea of managing your time again and work from there. Hobbies and interests can be great stress reducers. Rediscovering interests you used to have before addiction became the center of your life can be a great way to get to know yourself again. You may also take the opportunity to explore new interests and hobbies to give you something constructive and entertaining to focus on during times of stress. Social support, both during and after treatment, is key to helping recovering addicts deal with the challenges of daily life, especially stress management. Keeping emotions bottled up can be incredibly stressful, especially during recovery. A strong support group will help combat loneliness and give the patient an established circle of peers with whom they can share their thoughts and feelings. While friends and family should always be part of the addiction recovery equation, they usually aren’t enough. Not all of your loved ones will understand what it’s like to experience addiction, and going to them for understanding and then not receiving it can be a source of stress. Find a support group comprised of people who can relate to your struggles, who truly understand what you’re going through. The more people you have in your corner that you can trust, the more equipped you’ll be to handle stress. Even the most successful stress management will never remove stress from someone’s life completely. 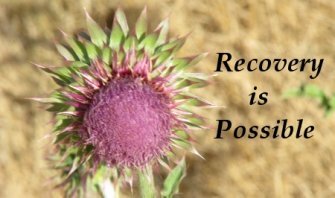 A successful coping strategy should help a recovering addict deal with stress in healthy ways that don’t involve addictive behavior. Avoiding stress is never the goal, preserving recovery is. And recovery is best preserved when stress is directly dealt with in new and healthy ways.